Originally from Indiana, Ann Marie returned to Indianapolis by way of Singapore. Indy was originally just a landing place for them, but it has ended up being home for the past 5 years. Ann Marie came to The Hot Room after a conversation with Lukas Schooler during a cast party for George Orwell’s 1984. The Hot Room quickly became home shortly after they took their first Bikram class and connected with Hye Jin and Laura. Ann Marie believes they live more authentically through their yoga practice and continues to learn and allow space to grow and change, and fall and play in class and laugh. 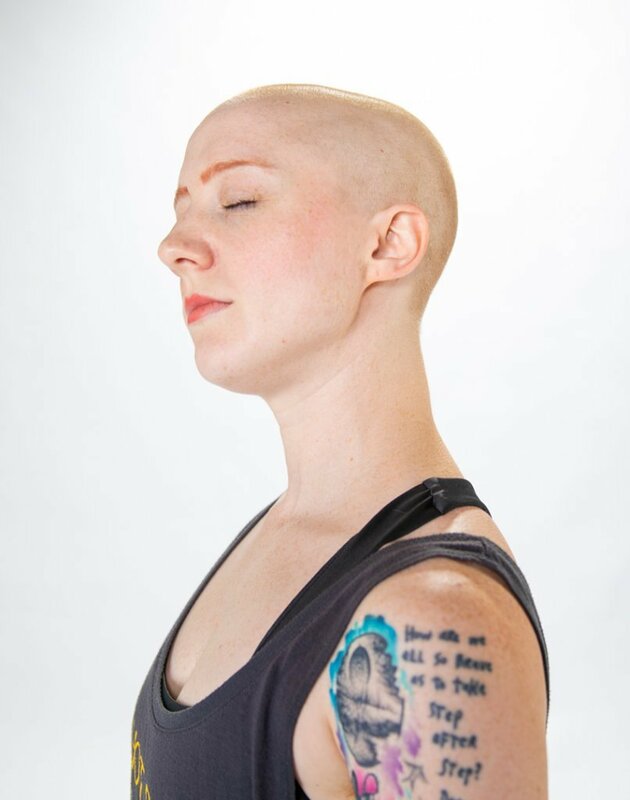 Ann Marie believes yoga is fun and silly and healing, and everyone deserves that experience. This changes all of the time, but right now my favorite postures are Twisting Triangle and Bird of Paradise. Parivrtta Trikonasana (twisting triangle) feels so good on my spine when I get those deep, juicy twists, and Svarga Dvijasana (bird of paradise) is a challenge of control, breath, and balance that pushes me in my practice. I’m a Theatre Teaching Artist throughout Indianapolis! I mainly teach for Young Actors Theatre and the Indiana Repertory Theatre. Singing along with the songs in Inferno Hot Pilates! Also: Instagram, taking pictures of my Cat (See: Instagram), and endlessly rewatching Trailer Park Boys.